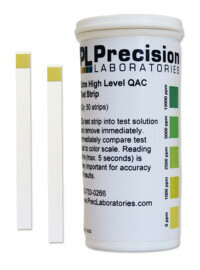 The Peroxide test strip is calibrated at 0, 100, 200, and 400ppm, and gives results in just seconds. 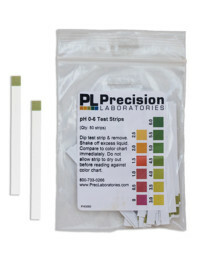 This test strip can be used to test pools and hot tubs where peroxides, rather than chlorine, are used to sanitize. 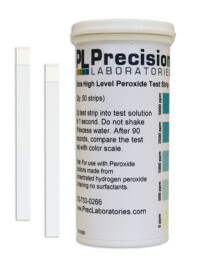 Recommended peroxide levels vary, therefore, the test strip can be used to test the concentrations users prefer. 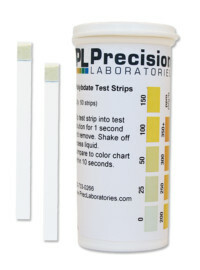 Compare the test pad to the color chart after 30 seconds. 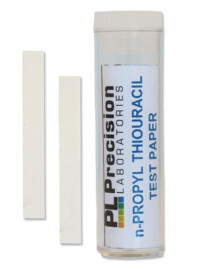 NOTE: If this test strip is used in very high concentrations of Peroxide (above 2000ppm or 0.2%), the test strip will not turn purple. 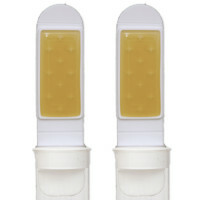 Instead, it will turn an off-white with a hint of green.